I play a lot of Magic: pretty much every tournament on the SCG Tour® schedule, Grand Prix tournaments when I can fit them in, and Magic Online on weekdays. And somehow, I manage to watch even more Magic than I play. During the week, it's Twitch streams and coverage of events I missed, and during the weekend, it's top-table tournament matches between rounds. Point is, I'm exposed to a lot of Magic on a regular basis. As I play and watch games, I keep tabs on the plays that make me sit up straighter in my chair or watch with a more focused intensity. Plays that signal to me that this person knows what they're doing and I should take this match seriously, whether I'm merely watching or on the other side. Plays that a lot of people don't make, but the best do. Today I'm going to share some of the plays currently on my radar as things people should do far more often than I see them do. As a disclaimer before we dive in, please keep in mind that even though I'm saying these plays are good and the mark of a great player, they aren't always good. 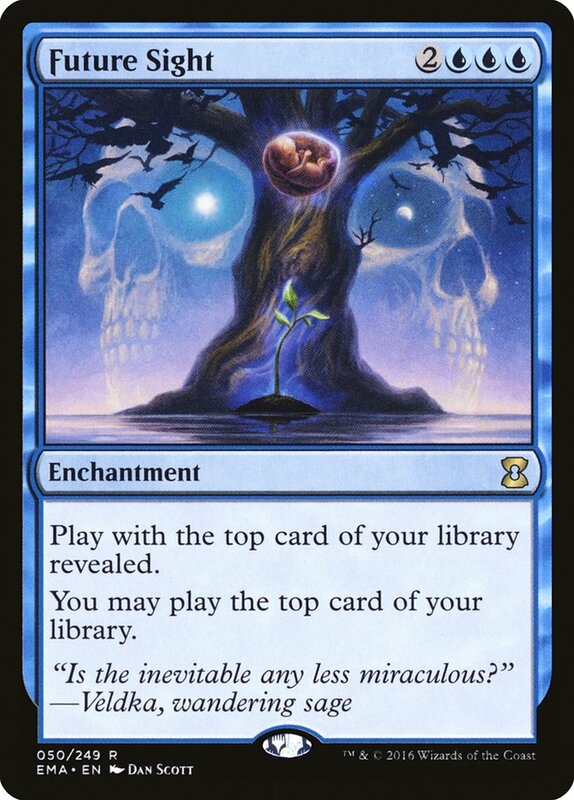 Being great at Magic is all about knowing when certain plays are good and when they're not, but figuring that out is nearly impossible if you've never seen the play in question before in the first place. 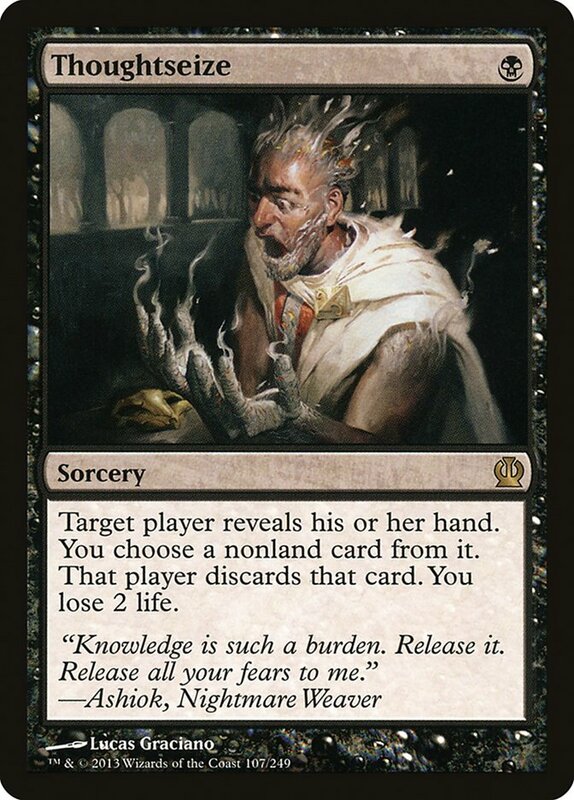 In my mind, the scariest thing a Storm player can do against me is spend the first two turns casting Serum Visions and Sleight of Hand, and then on Turn 3 end step a Gifts Ungiven via a Pyretic Ritual. If I'm tapped out at this point, the game is probably over. If I have a removal spell for a Baral, Chief of Compliance up, I might get through the turn. I also might not. Burning a Ritual to power out a Gifts Ungiven a turn early is a play you make to speed up your kill. 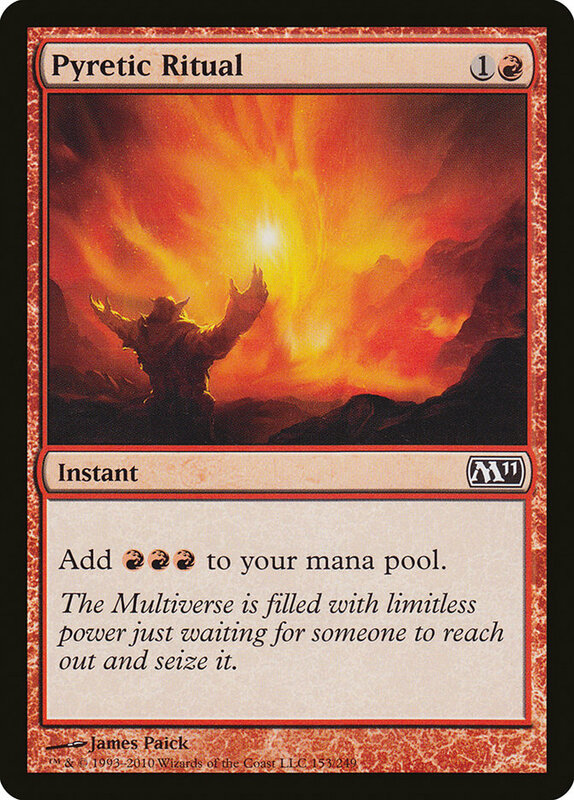 The four mana for Gifts Ungiven is difficult to manage mid-combo if you don't have a surplus of resources, so getting to cast the Gifts the turn before you go off essentially lets you use your lands for mana twice while comboing. That's kind of like getting a free Ritual that doesn't increase your storm count, which is still pretty good. And yet I only see this play from excellent Storm players. My take is that many average Storm players see using a Ritual in that manner as wasteful. In a lot of ways, playing Storm is an exercise in building up to a critical mass of resources. You spend early turns cantripping, looking for the mana you need to get a game-ending storm chain off. The game is about building up to the requisite amount of mana and spells, and burning a Ritual just to cast a Gifts Ungiven a turn early is a scary prospect. But doing so is how you kill on Turn 4 and not Turn 5. Great Storm players know what resources they need to win the game. They aren't just getting as many resources as they can and hoping things work out. They don't go for it because they think they ought to be able to win from here. They know exactly what they need to have, and they make sure they have it. When they go for it without having it all lined up, you'd better believe they know what they need to find and how many chances they have to find it. When they Ritual out a Gifts Ungiven, I know it's because they won't need that Ritual to finish me. I played Paul Muller, last weekend's #SCGCHAR champion, in Round 11 of the Open. In our match, he Desperate Ritualed out a Gifts Ungiven on Turn 3. Somehow, I'm not surprised that he went on to win the tournament. While watching these games, the main thing I'm looking at is how the pilots use their Celestial Colonnades. 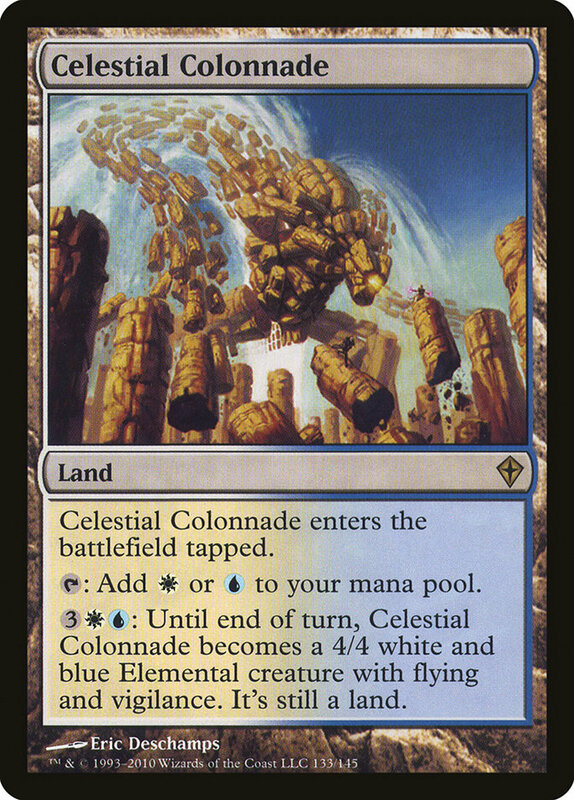 In my book, most players do not attack with their Celestial Colonnades nearly enough. It's an easy trap to fall into. You're playing a deck with tons of reactive cards, and you don't want to look stupid if you tap out to get in for four and your opponent deploys some devastating threat on their turn that you can't answer. Just like with Storm, in the end it comes down to knowledge. Great Jeskai players know what their opponent can do, and ensure that they stay reactive if it matters and get aggressive if it doesn't. 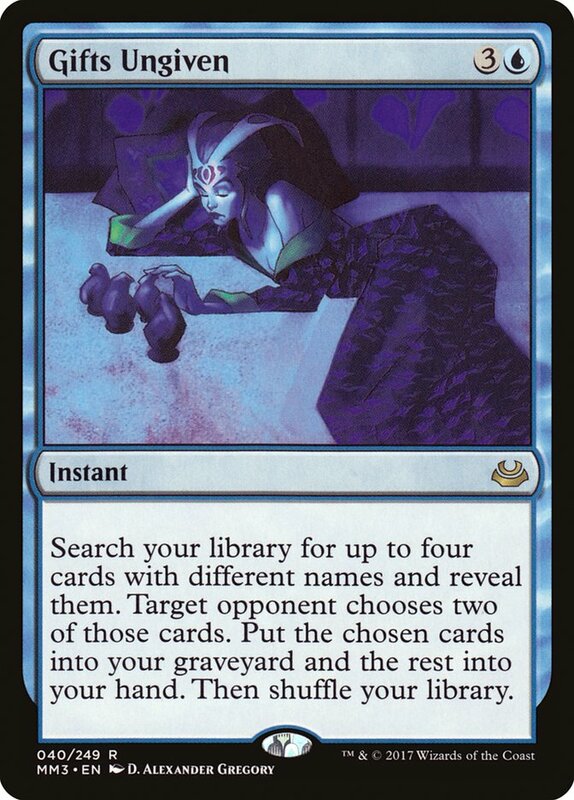 There is a large difference between leaving Cryptic Command up in case your opponent draws Liliana of the Veil when a resolved Liliana will be tricky to beat and leaving Cryptic Command up because your opponent probably plays some spells that are annoying and you like using Cryptic Command on annoying spells. This Celestial Colonnade microcosm is the result of two big-picture trends. The first is that, in general, players don't use their creature-lands early enough. 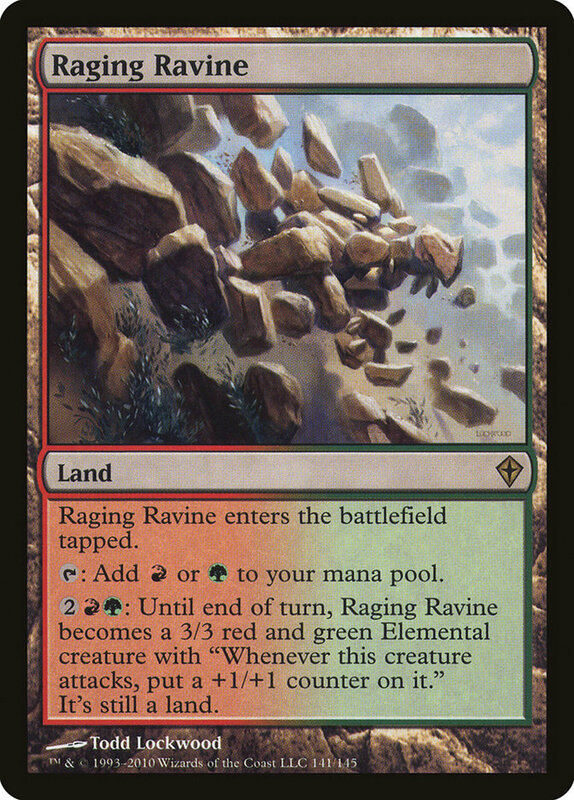 There's this idea in the collective Magic player consciousness that the role of creature-lands is to prevent flooding. As such, players tend to default towards casting anything in their hand before animating a creature-land, saving their creature-lands only for the super-late-game. I've been playing Jund lately in Modern. I animate Raging Ravine a lot. Against Jeskai in particular, I'll often animate it the first time they tap out after I get to five lands so I can sneak that +1/+1 counter onto it and get it out of Lightning Bolt range for the rest of the game. But even in other matchups, I will routinely animate my Raging Ravine and attack rather than deploy a two-drop from my hand. The purpose of the Raging Ravines may be to stop me from flooding, but once I have them on the battlefield, they are resources like any other and uses aside from the intended purpose are often optimal. Going one step further into big-picture world, this reluctance of players to animate their creature-lands is a symptom of the fact that players in general don't attack enough. Turning the corner as quickly as possible is a very important thing to do in a lot of matchups, but doing so is scary. Devoting some of your resources to offense takes them away from defense and leaves you somewhat vulnerable, and that can be off-putting. For instance, consider the Burn matchup. 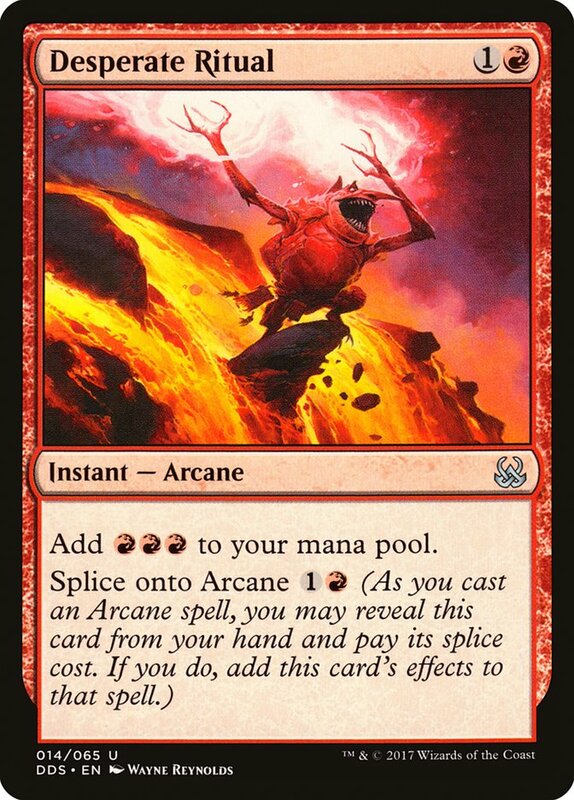 You have to end the game, as their deck is a redundant mass of burn spells that will kill you if given enough time. 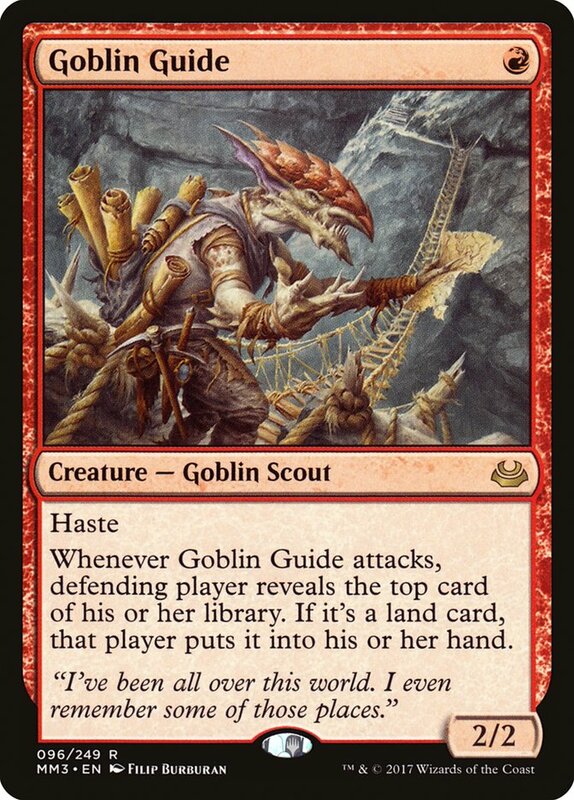 But turning your creatures sideways means you aren't safe from a topdecked Goblin Guide or Monastery Swiftspear. Players often wait and try to get to a point of having an extra creature to keep at home before starting to attack. Or, alternatively, they get down to three or four life and realize they have to make something happen or they have no chance. Sadly, by then it's often too late. You have to plan to end the game from Turn 1. Bringing it all back to Celestial Colonnade, my advice is three-fold. Every turn you have the mana to activate and attack with it, consider doing so. Think about the worst that could happen if you were to do so and decide if that's scary enough to stop you from attacking. And finally, if it is scary enough, start thinking about what you need to do to stop it from being so scary and work towards being able to attack as soon as possible. Discard spells are hard to play. Thoughtseize and Inquisition of Kozilek are everywhere right now, so I get to see them cast an awful lot. When watching or playing a match, it's often hard to judge the actual decision of which card to take. So much depends on the context of the caster's hand, and you don't always have that information. What you can easily judge, however, is the timing of the spell itself. Far too many players use an ASAP algorithm to decide when to cast their discard. If it's in their opening hand, they'll cast it on Turn 1. If they draw it later, they'll cast it that turn unless doing so would put them horrifically off-curve, in which case they'll cast it the next turn. Many players can go whole tournaments without sandbagging a discard spell longer than a single turn. I see great players hold them for five without thinking twice about it. There are two main factors to consider when thinking about when to play your discard spells: what you care about hitting and what you care about casting. When your opponent has cards you want to take very badly, ideally you manage to cast your discard on the turn before they would be able to use that card. Against TitanShift, you might want to cast Thoughtseize the turn before they will have six mana for a Primeval Titan. This desire is at war with your desire to employ your own threats in an efficient way, as you don't want to have to play off-curve to get your Thoughtseize off at the perfect time. This is why Turn 1 Thoughtseize is so popular. There's not a lot else to do on Turn 1, so using our Thoughtseize doesn't set us back at all. We get a look at their entire starting hand and get to sculpt our gameplan accordingly. The huge information edge of a Turn 1 Thoughtseize really puts it over the top, and I would never argue against it. But past Turn 1, Thoughtseizes aren't being held often enough. You should hold Thoughtseize whenever the card you care about taking isn't relevant yet. Against potential countermagic, hold discard to force through your important spells later. Against decks that play efficient removal, hold your discard until you have a threat to deploy to check for and deal with removal. Against combo decks with a linchpin piece, wait until the turn before they would cast it to minimize the chances they draw into it after your discard spell is cast. Honestly, Storm is about the only place where you just want to cast discard as often as possible. Part of the issue is that we aren't looking far enough ahead. We draw a Thoughtseize. We see that holding it until next turn would disrupt our on-curve play for the next turn and set us back, but that casting it now is fine. We don't consider holding it longer than our next turn's play, and we really should. When opponents cast Thoughtseizes on me late in the game, I shrug. When they immediately have a follow-up, I know the follow-up, not the Thoughtseize, was the topdeck, and I applaud their skill. The last play I want to discuss today is by far the most abstract of the bunch. Far too often, we put blinders on when it comes to combat math. We're living in the moment, thinking about the here and now. We think about how much damage we can force through; we calculate the best attack to send based on the current battlefield state. What we don't do is think about what the combat math on the next turn will look like. When we plan ahead, we think about cards and strategies and too often just hand-wave away the numbers. Mapping out damage over two turns through combat steps where creatures will die and new blockers may be deployed is difficult, and so we ignore doing so. We focus on optimizing this combat step, and then the next one, and then the next one, until we happen across a combat step where we have lethal. This approach leaves equity on the table. As recently as two months ago, my main focus in working on my Magic game was spotting and executing two-turn lethal attacks. I noted that I had a huge hole in my game when it came to working through combat math over multiple turns, and I put energy towards fixing that. I think looking for two-turn lethals is a great place to start, and from there your two turn combat muscles will be flexed enough to start thinking about what combat math over two turns looks like in non-lethal scenarios. You can tell when your opponent is thinking about combat math on this level because the numbers just always seem to work out in their favor. They have exactly enough damage on their last attack in both of the games they won. They didn't get lucky, and it wasn't close. They set up for that the turn before or earlier, saw this favorable end state, and made it happen. A little bit of work, and you too can have the numbers ever in your favor. In Magic, Jadine Klomparens is best known for two things: exceptional Modern Jund play and articles that dive deep into the theoretical underpinnings of Magic. Her accolades include runner-up finishes at both a Grand Prix and an SCG Invitational, a host of SCG Open Top 8s, and the name Jundine bestowed on her by a loving public. She's more likely to examine the play patterns of a format staple than brew a new deck, but the analysis she does cuts deeper than any individual card or format.